Quality and Trust defines us! 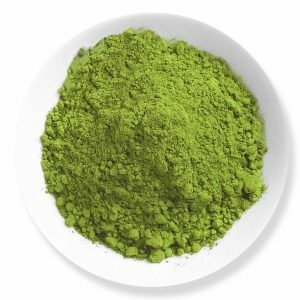 If you fancy our green strains of Kratom, then Green Malay would be your treat! We have this new addition green vein from the lands of south-east region. This green strain Kratom are grown in the deep lands of Malaysia. From our very own plantations, our farmers harvest all these matured leaves carefully with the correct level of alkaloid content. After going through a drying process, the powdered Green Malay Kratom will be available. This Product is packed and will also be sold as bulk botanical ingredients, along with no directions for its use. Ensure that you keep this out from children. You must be over 21 of age to purchase this Kratom product. Though, this product has not been evaluated or verified by the Food and Drug Administration, safety concern is regarded. Kratom is not intended for any kind of treatment or cure for any disease. Attempting to purchase will be prosecuted to the fullest extent of the law. At this time, we are unable to ship Kratom products to Rhode Island, Indiana, Wisconsin, Vermont, Arkansas, Alabama, Washington DC, Alton (IL), Sarasota County (FL), and San Diego (CA). Good value for the product. Expecting better customer service. Wonderful product and effects too. The service is very fast and reliable too. Go for it. A fantastic product for beginners. The service is moderate but I can see that they guys out there are taking every step to satisfy the customer though certain things don’t work out. But one of the best price line up. Guys, being frank your regular Malay, Borneo and Maeng Da is pretty much great than this strain. Ordered this strain with a lot of expectations but just pissed me off. This will be the last time that I spend my bucks on this strain. Reviews can’t impress me but tried this since I was curious but pretty good stuff. Kaybotanicals, you guys have a winner here!! 4.78 / 5 based on 9 ratings. 4.87 / 5 based on 15 ratings. 4.47 / 5 based on 17 ratings. 4.7 / 5 based on 2023 ratings. Looking for current sale items and promotions? Check out the Sales Page. Kay Botanicals is committed to bringing you quality products which meet your needs at the best possible prices. Learn more about me and my goals to help you. Disclaimer: None of our contents would provide any of the medical consultation, and should not be consider as such. All the product reviews listed are from the real users. All of the products that are displayed on this website have not been evaluated by the FDA (Food and Drug Administration). None of these products are intended to diagnose, cure, treat, or prevent you from any diseases. Every information that has given here will not be considered as a substitute from any health-care practitioners. We request you to consult with certified professional for possible interactions before using any product. We do NOT ship Kratom to these states: ALABAMA, ARKANSAS, INDIANA, RHODE ISLAND, WISCONSIN, VERMONT. Also, we Do NOT Ship Kratom to the Following Countries: Australia, Thailand, Malaysia, Myanmar.